We finally tore ourselves away from Stockholm but we didn’t get far. We took the train to Uppsala, a lovely old city that is home to the oldest university in Scandinavia. Both Carl Linnaeus and Anders Celsius taught there. 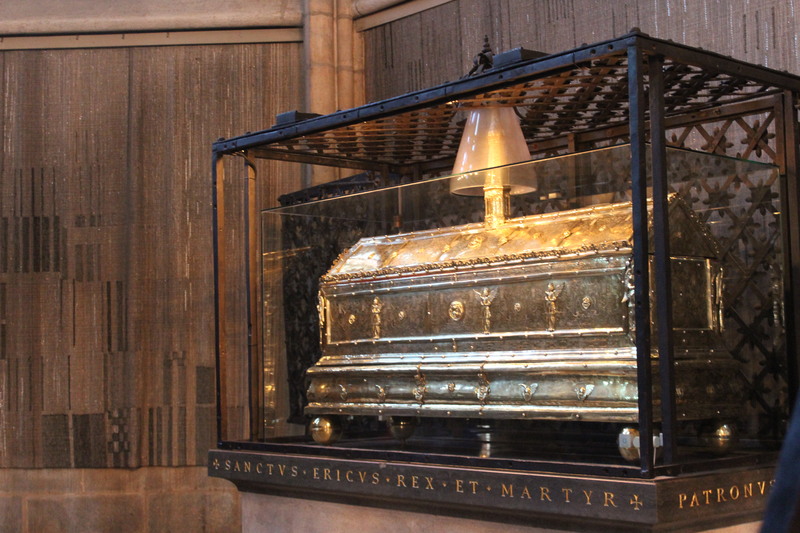 We saw the cathedral, where they keep the bones of Sweden’s patron Saint Eric in a silver chest. We visited the museum at the Carolina Rediviva, the university’s library. There we saw the 4th century Silver Book gospel in old Gothic, and Snorri Sturluson’s Prose Edda (c. 1222), as well as some illuminated Ethiopian texts (!) They don’t let you take pictures inside, so you will have to go there and see them yourself. but the best thing by far is the Ausgburg Art Cabinet, a box of wonders that was given to Sweden’s King Gustavus Adolphus in 1632. This beautifully ingenious piece of cabinetry is like a whole museum in itself. It is an intricate container that houses a fascinating collection of natural and technological curiosities. 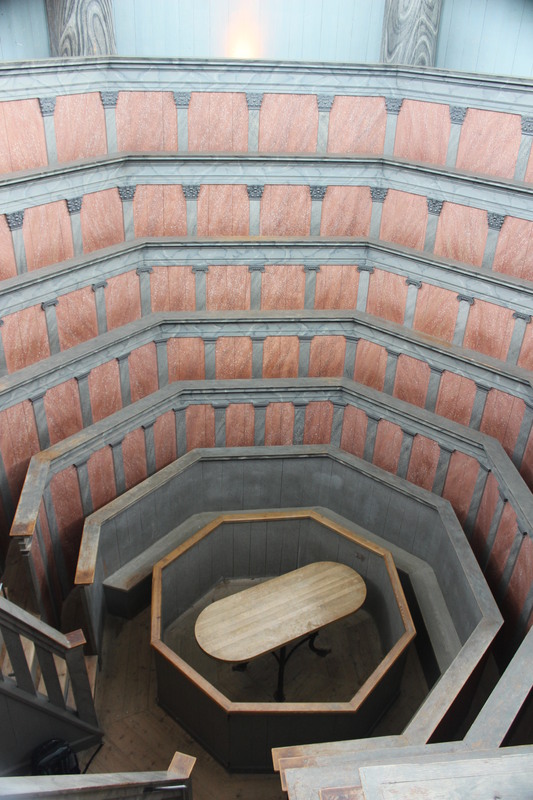 Something like this could keep a royal personage and his friends entertained for a lot of rainy days. I am a teacher from Medford, Oregon. I currently live and work in Cairo, Egypt. 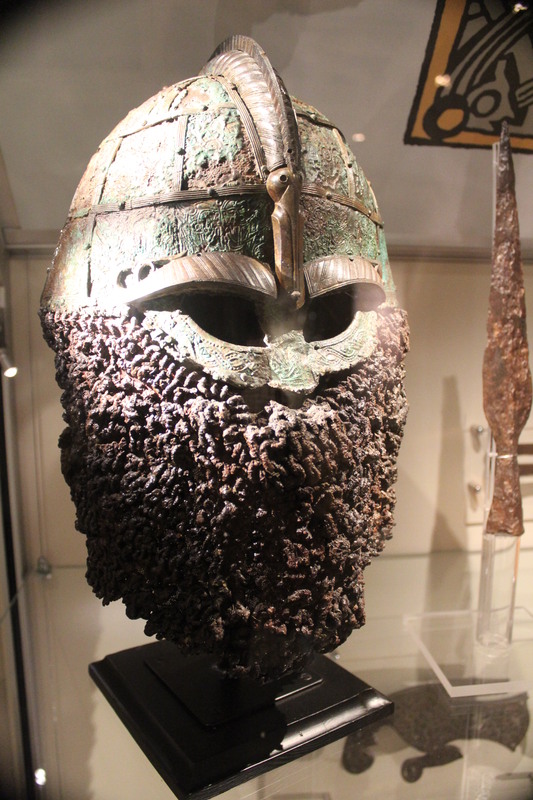 This entry was posted in Elsewhere and tagged museum, Sweden, Uppsala. Bookmark the permalink.